Our Presentation Sets of matching cufflinks and tie slides come in a range of specially designed boxes, which can be customised to bear your company name and logo. 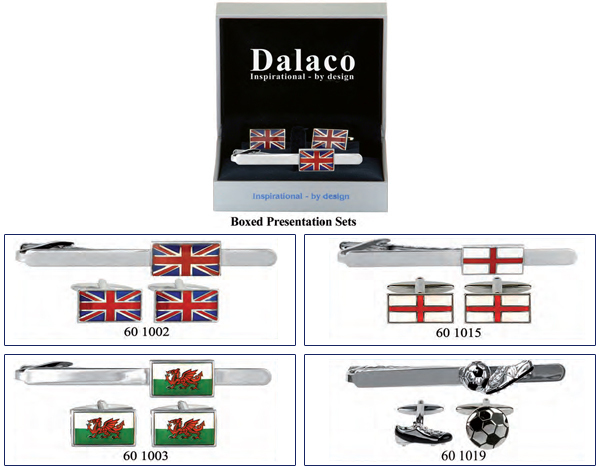 Flag design sterling silver cufflink and tie bar gift sets. United Kingdom flags, England, Scotland and Wales.